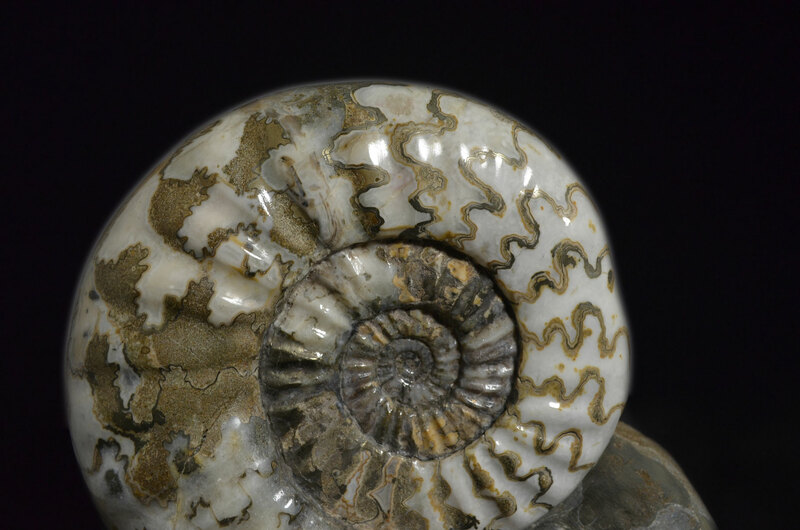 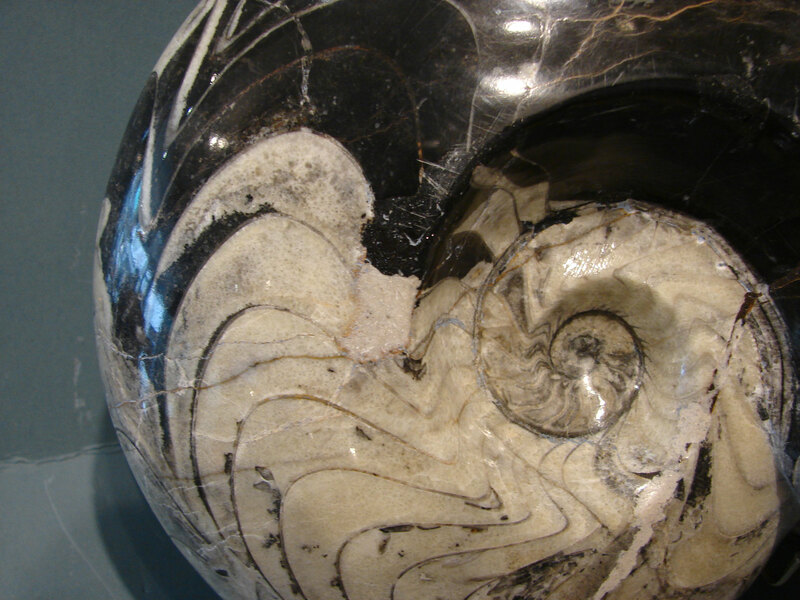 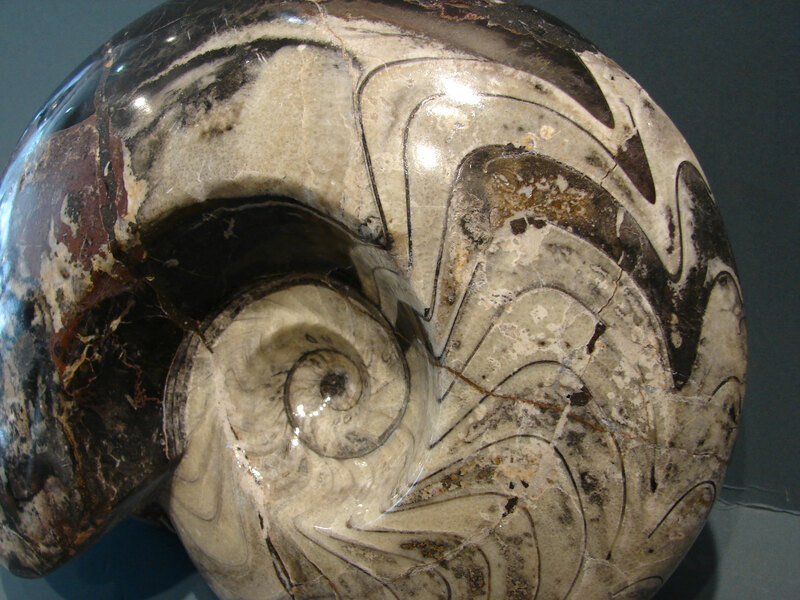 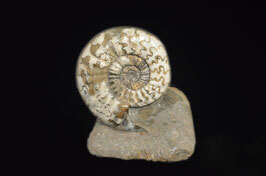 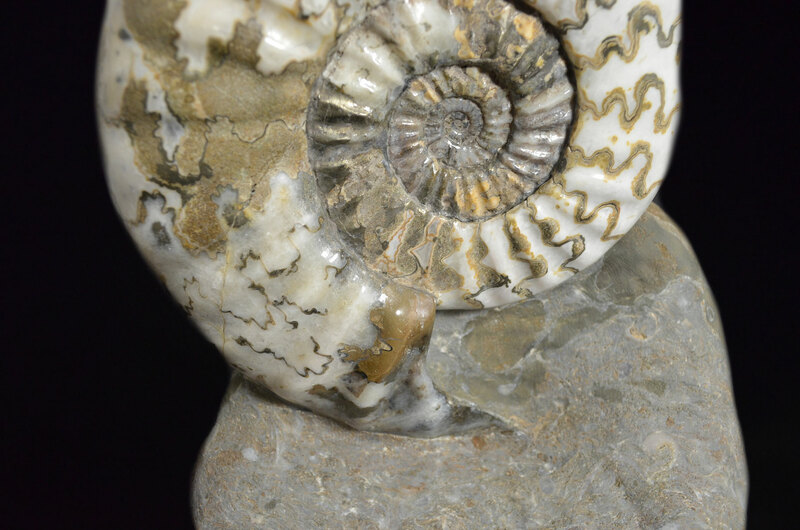 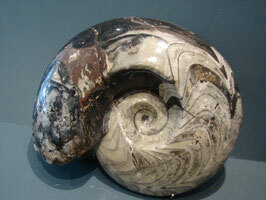 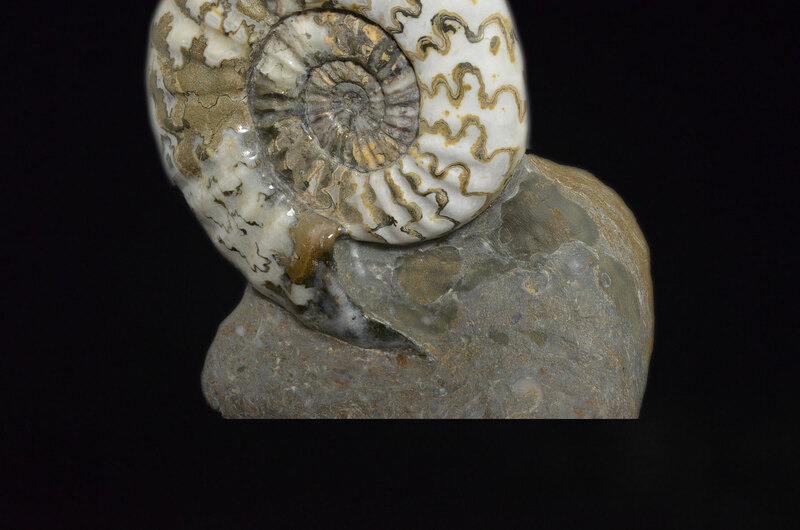 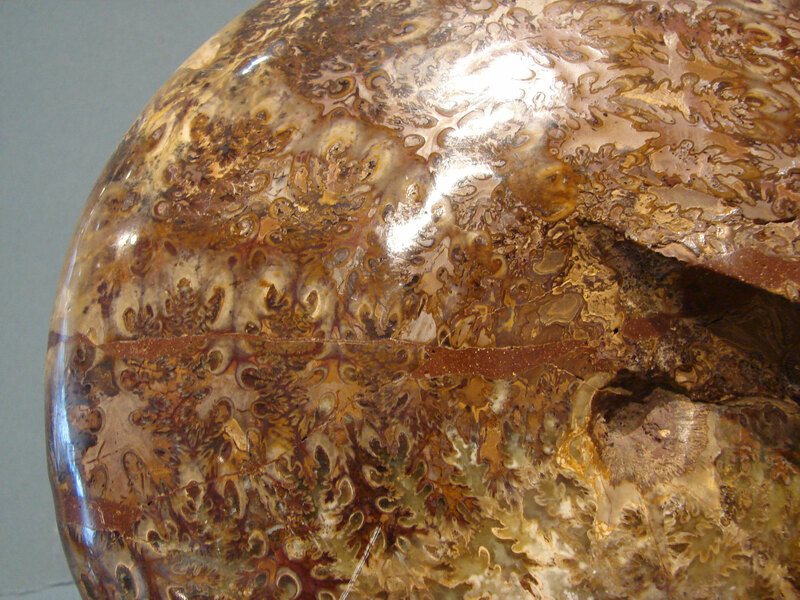 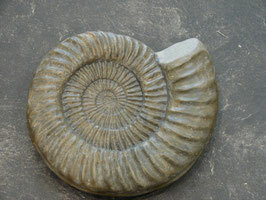 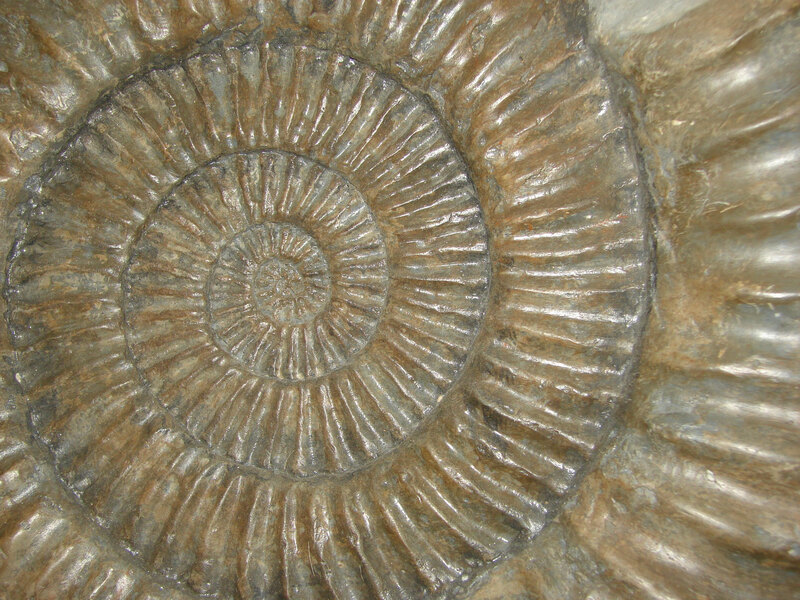 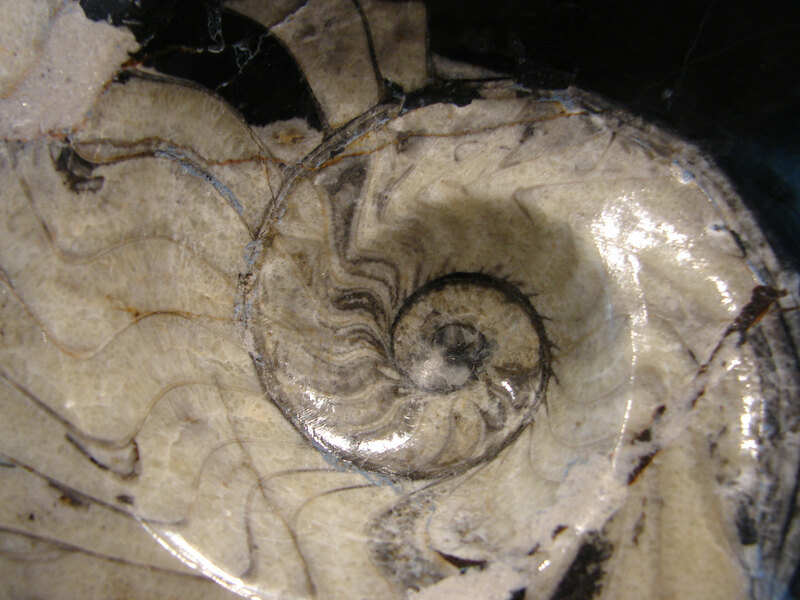 Ammonites first appeared 400 million years ago and became extinct 65 m.y.a. 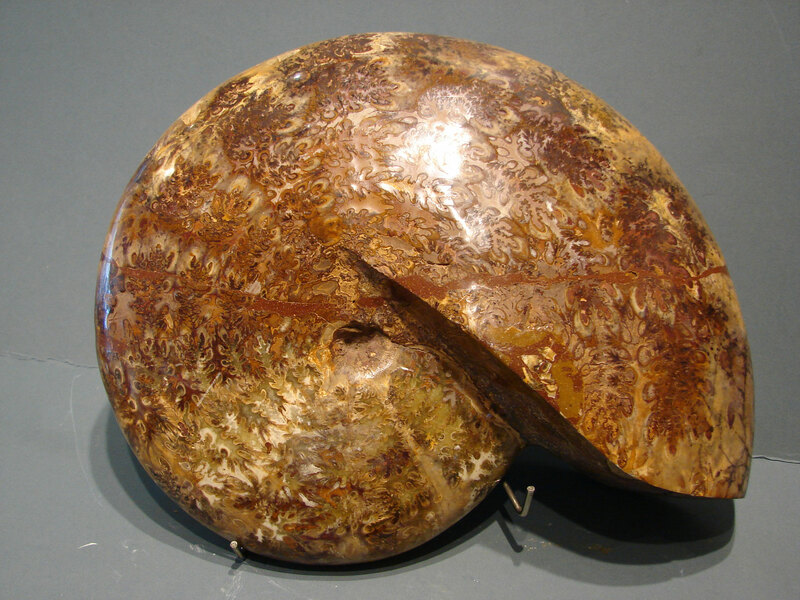 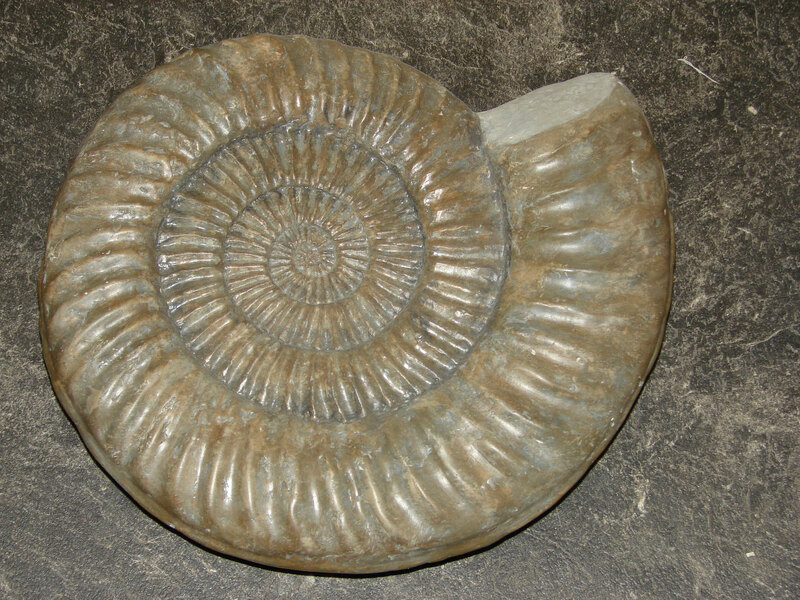 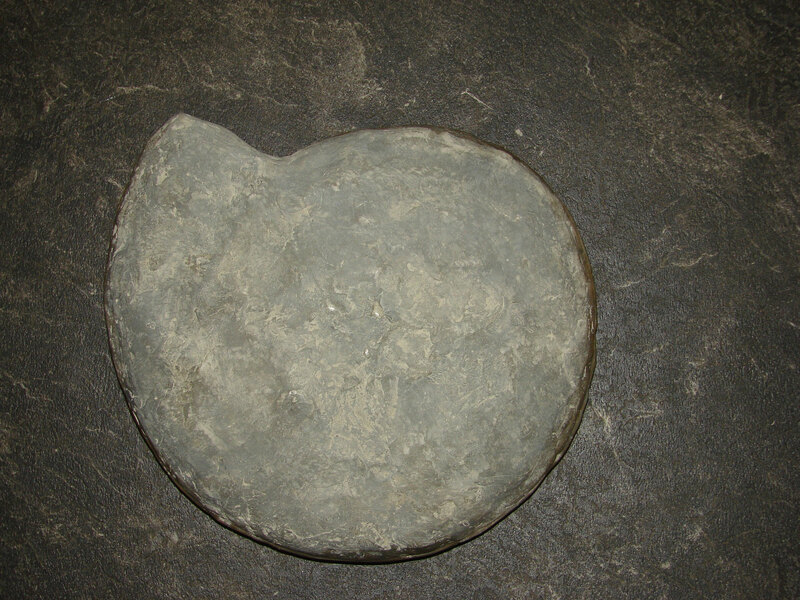 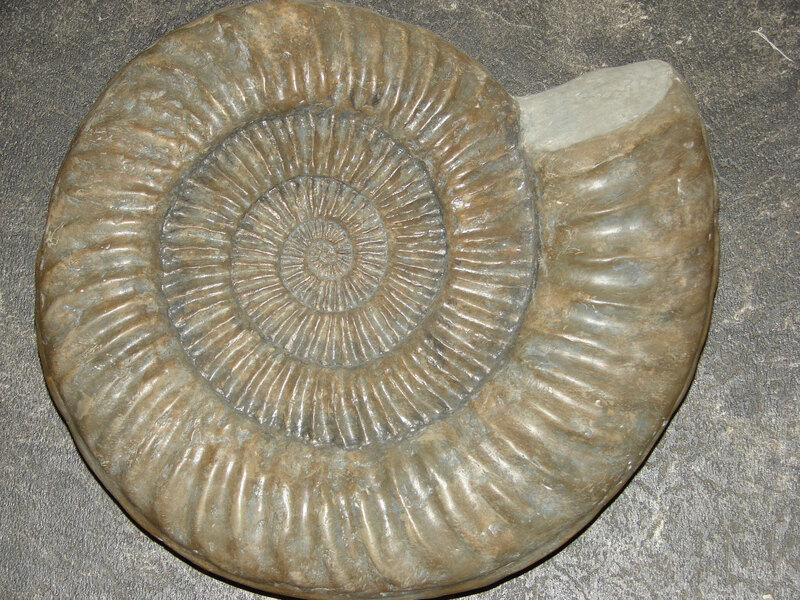 along with the dinosaurs, The largest ammonite fossils can sometimes reach 2 metres in diameter, Fossilised ammonites were thought to be petrified snakes and were called serpent stones ,also ammonites were once a staple diet of megalodons as many ammonites have been found with megalodons teeth fossils embedded in the ammonites ,pyrite British ammonite fossils are found on Charmouth beach Dorset and also pyrite ammonites are found on Whitby beach north Yorkshire, ammonites. 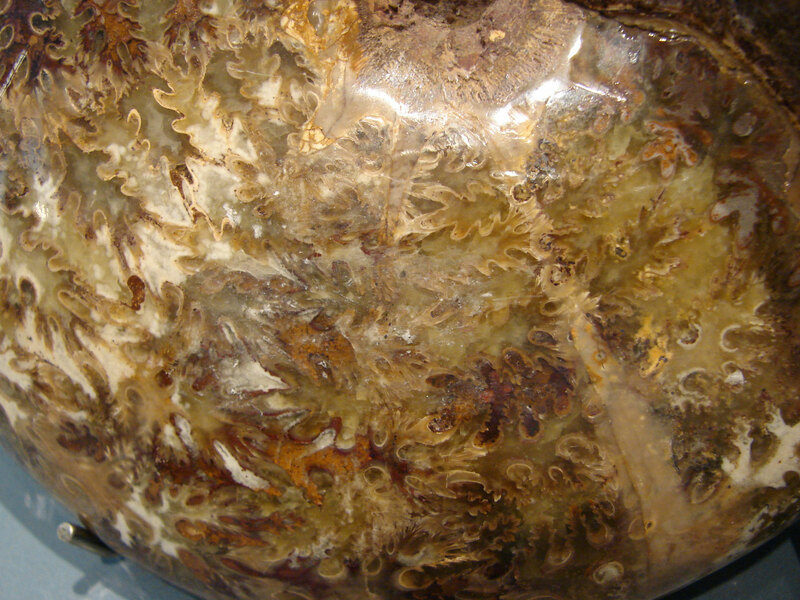 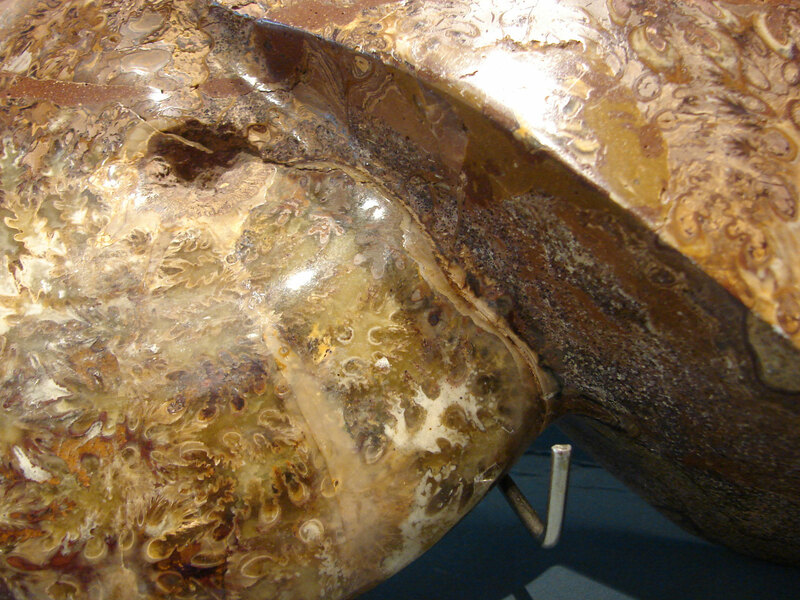 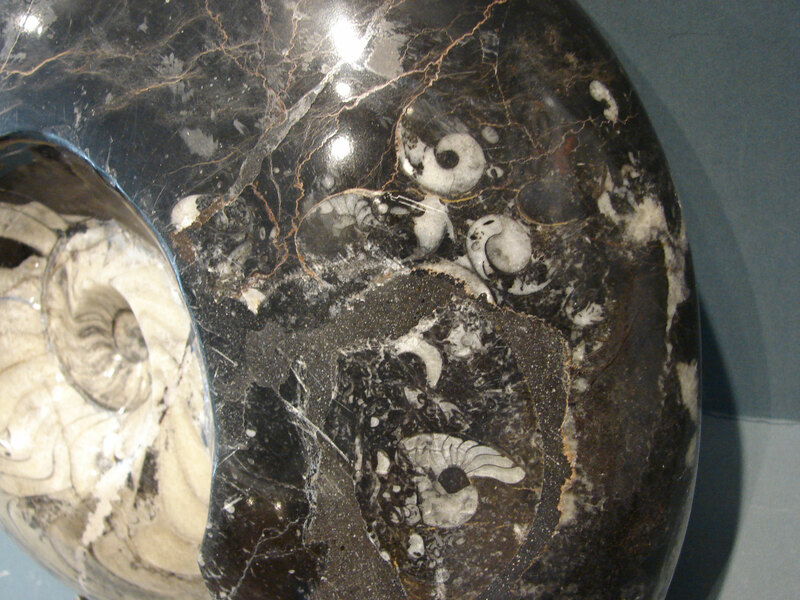 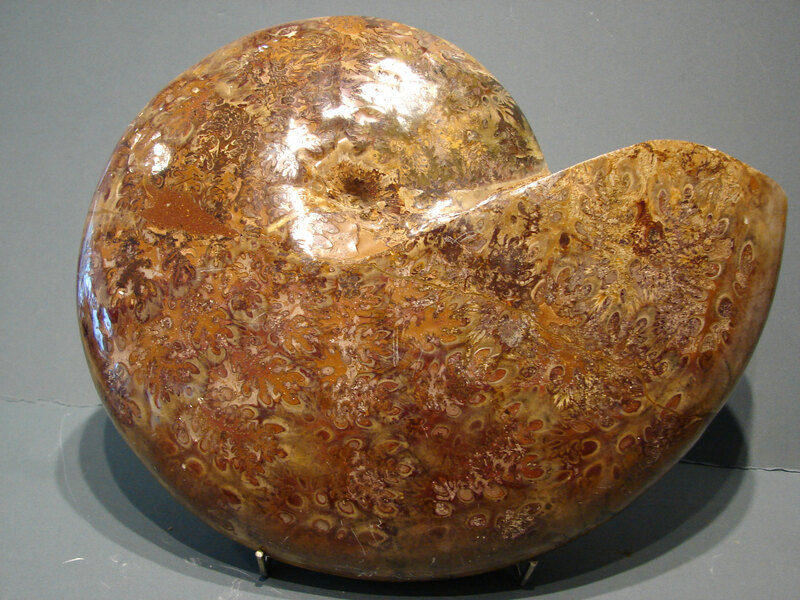 Goniatites are not easy to identify they can easily be mistaken for Ammonites, Goniatites are in the Ammonoid family (Mollusc).